Hi. My name is Eva Wells. I am the hypnotist that you will be working with. 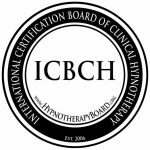 I am a Certified Professional Hypnotist for clinical hypnosis, Certified Hypnotic Weight Loss Specialist, & Certified Tobacco Cessation Specialist through the International Certification Board of Clinical Hypnotherapy (ICBCH). I am also a Certified EFT / TFT Practioner, & Certified Member of The Fellowship Of Christian (FHC) Hypnotists. 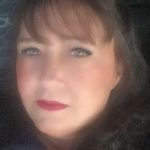 Furthermore, I am a licensed Minister, and carry a minor business degree through Southwestern Business College, plus have held several Leadership & teaching positions. It is my mission to help others have the best life possible, and it is my desire to offer understanding & compassion, without judgment – regardless of age or situation. I am always happy to discuss any questions or concerns that you may have. Methods of contact are listed below, however, my preferred method of being contacted is via email. Please note, if calling, be sure to leave a detailed voice mail message if your phone call is not answered, so that I may return your call as quickly as possible. Appointments are offered online via Zoom or Live-video, audio recording, over the phone, and in person. In certain situations, if distance permits, house-calls may be negotiable. ⏰ Office hours are flexible & by appointment only, as I do make every attempt to work with you, on your schedule (including evenings & weekends). 🚗 SERVING OHIO & INDIANA: In the areas of Eaton, Camden, Gratis, Lewisburg, West Alexandria, New Lebanon, Oxford, Hamilton, Fairfield, Sharonville, West Chester, Middletown, Germantown, Franklin, Springboro, Miamisburg, & West Carrollton. Brookville, Dayton. Also, serving the areas of Muncie, Richmond, Connersville, and Brookville, IN. ***Location is not of any concern for internet, audio, or phone sessions. For your convenience, please click HERE to access the forms required for your appointment. Forms of payment accepted: Paypal, Square Invoice, Major Credit Card, Bank/Debit Card, CashApp, or in Cash. I currently do not accept private checks, or 3rd party insurance payments. Appointments must be pre-paid at the time of scheduling. If your appointment is missed, it may be rescheduled one time at no additional cost. Otherwise, missed appointments are charged at 50% of the session fee. Before you leave this site, don’t forget to check out for information about our Specials and Referral Program. As I fully believe we are never too smart or too old to stop learning, I am committed to continually further my education in ways that can best benefit my clients. Therefore, these are my current programs of study: Stress & Pain Management Specialty Certification, Life Coach, and CBT Certification.